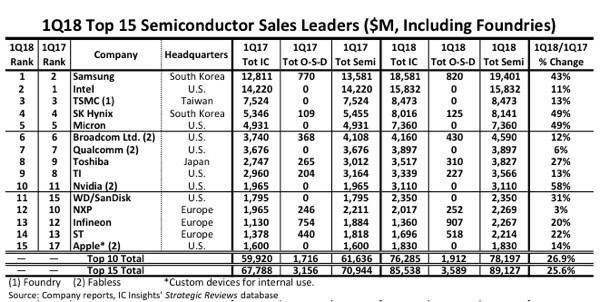 According to foreign media reports, Samsung's semiconductor business has performed exceptionally well over the past few years. The Korean electronics giant has been making a new profit record in the past few quarters, of which the semiconductor sector has made the biggest contribution. In 2017, Samsung replaced Intel as the world's largest chipmaker, demonstrating Samsung's excellent performance in the fast growth of the semiconductor industry. However, there are also many ideas that Samsung's performance in maintaining its strong growth may be insufficient. But from now on, Samsung's momentum has not shown any signs of slowing down. 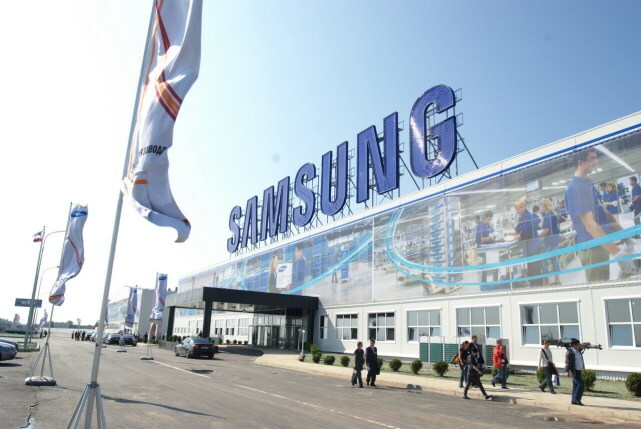 Last month, we saw another impressive performance in the first quarter earnings of Samsung, with the semiconductor sector continuing to make a significant contribution. Recently, the first quarter statistics released by market research firm IC Insights also showed Samsung's leading edge in chip sales. According to the report, Samsung's chip sales were $18 billion 600 million in the first quarter of 2018, surpassing Intel 23%, which ranked second, with sales of $15 billion 800 million. Samsung's growth rate is as high as 43%, while Intel's growth rate is only 11%. In addition, TSMC, SK Hynix and Mei Guang ranked three to five respectively. According to the report, Samsung's outstanding performance mainly benefited from market demand for DRAM and NAND flash memory. In the first quarter of Samsung's semiconductor sales, the proportion of memory chips reached 83%, up from 77% last year. Samsung's competitors, Mei Guang and SK Hynix, also benefited from this market situation, and the sales volume of both companies increased by 49%. Samsung has previously said it is expected to slow the overall demand for the memory chip market in the next few quarters, which could affect the profits of the company's semiconductor business. So it needs to be remembered that Samsung can get the first place in the chip market, mainly depending on the strong performance of the memory products, not the microprocessor chips. On the other hand, Intel has been able to dominate the semiconductor market for 20 years, mainly by the advantages of processor chip products and the slowdown in the future of the memory chip market, which may help the company to retake Samsung back to the first market.